A Ductless Heat Pump is a highly efficient heating and cooling system. It is easily installed as a new primary heat source for electrically heated homes. These systems heat and cool homes at a fraction of the cost of electric resistance heat. Ductless Heat Pumps are much safer, quieter and heat rooms evenly (no more hot or cool spots!). Ductless Heat Pumps do not require expensive and invasive ductwork. They require only a three-inch opening in the wall or ceiling. Installation is as simple as mounting the indoor and outdoor units, connecting the refrigerant lines, and making a few electrical connections. Install a Ductless Heat Pump and use 25% to 50% less energy to heat your home. Ductless heat are an ideal primary heating and cooling solution for those with electric baseboards, wall heaters or electric furnaces. Ductless heating and cooling systems are ultra-quiet and designed to provide maximum year-around comfort, control and efficiency. Installation is quick, simple and inexpensive, which means little or no disruption to your home. Systems come standard with air conditioning, so you can get rid of those window units! Follow the steps below to determine if you qualify for a rebate! Single-family homes with zonal electric heat, including zonal electric hydronic systems. Single-family residences with electric forced air furnaces, with or without air conditioning. Manufactured homes with zonal electric heat. Manufactured home with electric forced air furnaces, with or without air conditioning. Equipment/contractor invoice showing (a) measure requirements have been met (manufacturer, model number, type, size and quantity of equipment or product installed/used) (b) the order/purchase date and (c) cost. Ductless Heat Pump Installation Form. 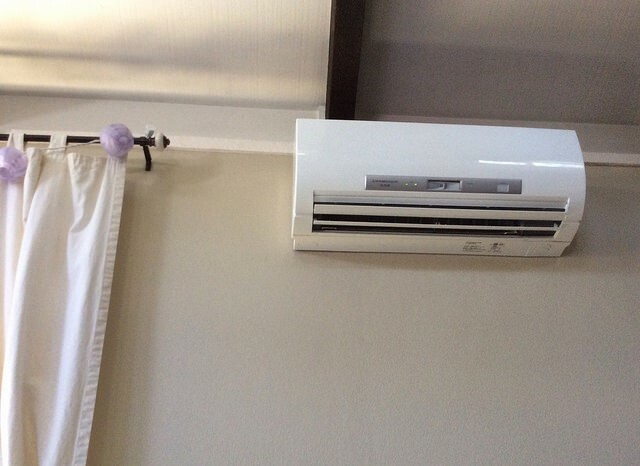 Ductless Heat Pump must be installed by a HVAC technician who has attended a Northwest Ductless Orientation certification and is in accordance with the Best Practices for Installing Ductless Heat Pumps Guide.